Freshman Democratic Rep. Zack Space of eastern Ohio has a "district of small and medium-size farms . . . far down the list of those receiving government farm payments," but opposes "major changes in the traditional price and income support programs," Dan Morgan reports in today's Washington Post. Space is one of nine freshman Democrats on the House Agriculture Committee, which will take up the bill on Tuesday. He told the Post, "I'm with the farmers back home who are generally satisfied with the commodity program we have." Morgan writes, "A coalition of Democratic-leaning environmental organizations, anti-poverty groups and church organizations are pushing to redirect some subsidies to conservation, wetlands preservation, rural development and nutrition. But top Democrats are reluctant to push too hard for changes that could put at risk Democratic freshmen from 'red' states . . . where the farm vote is still a factor in close elections." Morgan's story is a good summary of the issues swirling around the bill, which finds the Bush administration wanting reforms that Committee Chairman Collin Peterson of Minnesota resists. To read it, click here. Tipton, Iowa, gave President Bush "the benefit of the doubt" when he launched the war in Iraq, but now that the town of 3,100 has lost two soldiers, its attitude toward Bush and his strategy has "turned more personal and more negative," reports Peter Slevin of The Washington Post's Midwest Bureau in Chicago. 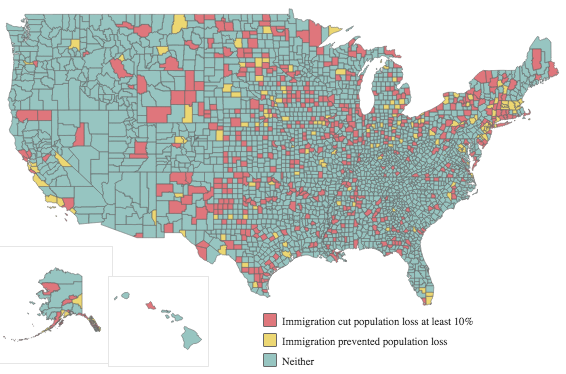 "While opposition to the war has been stronger and more visible on the East and West coasts, small towns in the heartland and the South have provided the Bush administration with some of its most steadfast backers. But that support has cracked amid the echoes of graveside bagpipes and 21-gun salutes, which have been heard with greater frequency in recent months in small Midwestern communities. Two prominent Republican senators who broke with the president this month come from the nation's midsection. Sens. George Voinovich (Ohio) and Richard Lugar (Ind.) said Bush needs to find a new direction in Iraq and a way to start bringing the troops home." The Eagle said Edwards would be the first presidential candidate in Letcher County since Robert Kennedy came in 1968, as an "unannounced candidate" exploring poverty. Edwards is retracing the Appalachian part of Kennedy's route Wednesday to conclude a tour focused on poverty. The Eagle ran a large Associated Press color photo of Edwards on its front page, and continued its story to the editorial page, with a Tom Bethell photo of Kennedy in the town of Fleming-Neon. The paper noted that "President Lyndon Johnson declared the war on poverty in 1964 from Eastern Kentucky." The Big Sandy News, a regional, twice-weekly paper, noted Johnson's visit "to Martin and Johnson counties," which the paper serves. "While we're pleased that a presidential candidate is showing an interest in Eastern Kentucky, we're a little cautious about Edwards' visit since the theme of his tour is poverty," opined Tony Fyffe of the News, predicting "news footage of rundown homes, trash-ridden roads and streams, etc. . . . We don't deny that thousands upon thousands of Eastern Kentuckians live in poverty, but that's the one negative image the region and the state have had to overcome for decades. Forget about the wealth and all of the successes, Kentucky is nothing more than a poverty-stricken state, according to the national media. . . . If he wins the Democratic nomination and then the presidency, we hope Edwards returns to the region and puts his poverty action plan to work. Something tells us, however, that we'll be just a memory as soon as the tour bus leaves the region next Wednesday." The Big Sandy News has a subscription-only Web site. Bonnie Bates of the Progress, citing a campaign release, says the former U.S. senator from North Carolina "will arrive in Wise sometime on July 17. . . . On July 18, Edwards will make an appearance at the county fairgrounds as volunteers prepare for this year’s Remote Area Medical health outreach, according to a media contact for Edwards’ campaign." Then Edwards will to to Whitesburg to answer questions from young people at the Appalshop media and arts center, and finally to Prestonsburg for a speech at the old Floyd County Courthouse. The Progress has a subscription site. The Mountain Eagle is not online. Maine had the deadliest rural roads in the United States in 2005, followed by North and South Dakota, with Iowa and Vermont tied for fourth, according to research by the Center of Excellence on Rural Safety at the University of Minnesota. The rankings are based on percentage of fatalities outside cities with a population of 5,000 or more, without regard to rural road mileage; Maine's figure was 92 percent. In Minnesota, the state with the 15th deadliest rural roads, the study found that 72 percent of the state's traffic fatalities in 2005 occurred in areas that were defined as rural, reports Sarah Kirchner of the Albert Lea Tribune: "Overall, the Upper Midwest is a deadly place for drivers on country roads." (Read more) To see where your state ranked in 2005 and 2004, click here. Kentucky Highlands Investment Corp. invests in southeastern Kentucky, one of America's poorer regions. The area has much substandard housing, often so categorized because of plumbing issues. Now the venture-capital firm has started a business of its own, to address the housing problem and eventually create jobs. Kentucky Highlands is building and installing “housing cores,” which have a finished kitchen, bathroom and laundry room ready to be hooked up to plumbing and electricity. It plans to demonstrate the unit at an “extreme build” home project with 150 volunteers in McCreary County on Monday, the sixth house with one of the cores. The company plans to build 14 more, for a total of 20, but says the units can also be used to upgrade houses that lack modern plumbing; it says there are 17,000 such homes in Appalachian Kentucky. The cores installed so far have been built by contractors. The company hopes to develop a market for the cores and build a factory to construct them and hire people from the region, said Elmer Parlier, its vice president for investments. Even without a factory, “It would increase the quantity and quality of affordable housing in the area, increase homeownership opportunities in KHIC’s service area and create jobs while providing construction skills training,” said Jerry Rickett, president of the company. “Providing all the mechanical parts of the house in a factory-built unit ... will make it easier for volunteer groups, such as Habitat for Humanity, to build houses because most of the complex plumbing and electrical tasks have been done before work at the site begins,” KHIC said in a news release. Damon backgrounds: "Abizaid spent four years as U.S. Central Command chief, overseeing the wars in Iraq and Afghanistan, as well as other military operations involving critical Middle Eastern countries. His retirement coincided with Bush's surge in Iraq. Abizaid wasn't known as a proponent of the surge and had testified to Congress that the Army couldn't sustain an additional 20,000 troops. Bush ordered a surge of 30,000. According to the Weekly Standard, Abizaid's philosophy in the middle of the war was that American troops acted more as an 'irritant' than a solution and that Iraqi forces would become too reliant upon them for counterinsurgency work." (Read more) Thanks to Rocky Mountain Report for the tip. "The owners of the The Mount Airy News and The Tribune in Elkin are trying to stop the former publishers of those two papers from printing a competing newspaper Monday," reports Sherry Youngquist of the Winston-Salem Journal. "Heartland Publications LLC has filed a lawsuit against former publishers Mike Milligan and Rebel Good, saying that the men crippled its newspapers last month by taking key employees and information with them" to start a new paper called The Messenger, based in Mount Airy, population 8,000 and the hometown of Andy Griffith and model for TV's Mayberry. In an earlier story, Youngquist wrote, "Media analysts say that the startup newspaper’s success will depend a lot on the economy but also on the person bankrolling it. C. Richard Vaughn, the CEO of John S. Clark Co. Inc., is the chief financial backer of The Messenger. 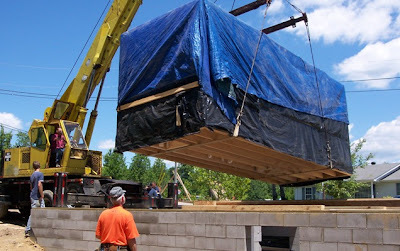 Vaughn’s general-contracting company does business throughout North Carolina and the Southeast. He is listed on the articles of incorporation filed with the state as the incorporator of Surry Publishing Group Inc., which will publish The Messenger. But Surry Publishing Group’s principal address belongs to Granite Development, which is operated by Vaughn’s son, C. Richard Vaughn Jr., and Craig Hunter, the chairman of the Surry County Board of Commissioners. She wanted to be a newspaper reporter, and placed in the top 10 of her graduating class in journalism at the University of Texas, but Lyndon Johnson prevailed. In the White House, she was often his closest adviser, and in 1964, after he signed the landmark Civil Rights Act, she corageously campaigned for his election in eight Southern states where opposition to the law was strong. A life well lived, much in our service. Julie Ardery of the Daily Yonder pays tribute to Lady Bird, with some lovely pictures of wildflowers along the highways and these closing lines: "This April in Texas was a banner season for bluebonnets, Indian paintbrush and white prickly poppy. A bold final spring for Lady Bird." To read the entire tribute, click here. Conservative political columnist Robert Novak writes in the latest Evans-Novak Political Report that the professed transparency of House Democrats when it comes to earmarks on appropriations bills is "a sham" because they routinely vote to approve each other's earmarks and that isn't being covered by the news media. "Amendments to strike transparent earmarks are brought up for a floor vote, they are overwhelmingly defeated and the news media completely ignore the story," Novak writes. "Searches of Lexis-Nexis and Google News suggest that no one -- and we mean absolutely no one -- has picked up on the story of Rep. Patrick McHenry (R-N.C.) and the embarrassing fight he lost to keep an earmark in his district." We suppose Novak does not include in his definition of "news media" Politico.com, which reported June 28 and July 3 on the removal of McHenry's earmark for the Home of the Perfect Christmas Tree in Spruce Pine, N.C.
McHenry blamed the 249-174 vote against his $129,000 earmark on his outspoken criticism of Democrats. "Since his election in 2004, McHenry has become one of the Democrats' most vocal critics on the House floor," Politico.com reported July 3. The earlier story noted that the vote marked the first time that Rep. Jeff Flake (R-Ariz.) has succeeded in removing an earmark. For the latest Politico.com story, click here. It notes, "Interestingly, four members of McHenry's own state delegation — usually tight-knit groupings — voted against him: Republicans Howard Coble, Robin Hayes and Sue Myrick and Democrat Brad Miller." We found nothing on the matter in the archives of the Asheville Citizen-Times, a larger paper almost as close to Spruce Pine but not in McHenry's 10th District. The Hickory Daily Record, largest paper in the 10th, noted the committee action in an editorial critical of earmarking but we found nothing in its archives on the floor vote. Both papers are owned by chains that have Washington reporters. But reporters don't have to be in Washington to write about such matters; there's plenty of information on the Web. Use it! Upshaw's co-researchers were David Koranda, a visiting professor of advertising, and former journalism doctoral student Gennadiy Chernov, now at the University of Regina in Saskatchewan. They “monitored two evening newscasts a month at 17 U.S. stations over four months in early 2004, including a February ratings sweeps week,” ScienceBlog reports. “The researchers explored promotional tone or content, product placement on the screen within stories or even on the desks of anchors, sponsored segments within newscasts and news framing, in which a legitimate story quietly raises positives images of companies or brands. . . . They documented 750 instances, about 2.5 individual slots per newscast – with an average of one minute, 42 seconds per occurrence – of commercial influences.” The study is in the June issue of Electronic News. The Todd County Standard of Elkton, Ky., has a circulation of about 2,500, but it does a better job than many larger weeklies of putting items on the public agenda. On May 17 we noted its four-story package about the need for broadband Internet service in the county. That was part of the paper's year-long "Focus on the Future" series, which continued last week with "Some BIG Ideas" for the county of 12,000 people. The paper presented the ideas without regard to what they might cost, but none of them were outlandish. "Let's just talk about what might be possible and perhaps someday someone with the resources or the drive might just succeed," said the staff-written story. In other words, the paper is planting seeds, giving them a first dose of water and hoping others will agree to take over. That's a worthy mission for a local media outlet. The ideas included a drive-in theater; a theme park; a wedding chapel, which might appeal to nearby Fort Campbell; a museum that shows how tobacco, still an important local crop, is grown; and "a computer for every child in Todd County that needs one." The paper invited readers to submit their own ideas, which will be published in the Aug. 29 edition. The Standard has no Web site, but click here and here to see the pages. "In perhaps a demonstration of how serious China is about shoring up the safety of its food products, Beijing executed the former head of its State Food and Drug Administration on Tuesday," Tom Johnston of MeatingPlace.com reports. 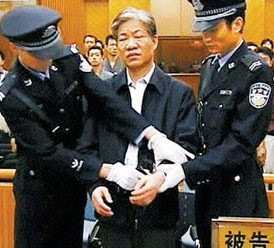 Zheng Xiaoyu, 63, was convicted of taking bribes to approve untested medicine that was blamed for at least 10 deaths. The official news agency Xinhua (which posted the photo, of Zheng in court last month) did not disclose the manner of execution. "Zheng's execution was concurrent with a press conference at which China's top food and drug regulatory agencies vowed to crack down on counterfeit food and medicine," MeatingPlace reports. "Beijing has been pressured to make vast improvements after a spate of health scares tied to sub-par products, including exports of tainted food and fake drugs. (Read more) For a longer Associated Press report, click here. For the Xinhua story, click here. "The Lancaster (Pa.) New Era was doing something right long before the past year. It won state awards, and was the rare afternoon daily with almost as much circulation as its morning counterpart. But the New Era, founded in 1877, received national attention when its coverage of last October's tragic shootings of five Amish schoolgirls won honors including the Pulliam prize and the Religion Communicators Council's Wilbur Award." Its circulation is 41,306; Lancaster's 2000 population was 56,348, the county's 470,658. The Centers for Medicare & Medicaid Services proposed cuts in pharmacy reimbursements Friday, prompting "outrage," a word not usually seen in business-group press releases, from the National Community Pharmacists Association, many members of which are in rural areas. NCPA said the proposed reimbursement formula for generic prescriptions, based on a new definition of "average manufacturer price," will drive some pharmacies out of business and "dramatically reduce patient access to community pharmacies." The group said independent pharmacies "represent 42 percent of retail pharmacies and serve a large number of underserved rural and densely populated urban areas." The group said the average community pharmacy's profit in 2006 was $128,968, and a Government Accountability Office report in December estimated that the loss expected as a result of the new formula would be $120,622. "In other words, virtually all profit would be eliminated," NCPA said. "Under these business conditions many community pharmacies will be forced to no longer participate in Medicaid program or even go out of business, which will leave their patients to either find other alternatives for their pharmacy services or be forced to visit emergency rooms and doctor’s offices. The cost to taxpayers will increase because of this misguided approach." For the full press release, click here. The Rural Blog and the Institute for Rural Journalism and Community Issues are not advocates -- except for coverage of issues, and laws that help journalists perform their First Amendment functions. That's why we keep reminding you that the House has passed a bill to improve the Freedom of Information Act and the Senate is sitting on it, because of a "hold" by Sen. Jon Kyl, R-Ariz.
Perhaps the biggest problem with the 41-year-old FOIA is that costly lawsuits are often the only way to challenge federal agencies' denial of records or get them to even respond to records requests. Most states have an official, such as the attorney general, to provide a quick, inexpensive appeal. The bill in Congress would create a FOIA ombudsman to mediate disputes between agencies and record-seekers. It would also restore meaningful deadlines for agency, create real consequences for agencies that miss deadlines; clarify that FOIA applies to agency records held by outside private contractors and set up a FOIA hotline service. For details on the bill, from sponsor Sen. Patrick Leahy, D-Vt., click here. Some requests filed almost 20 years ago are still pending, according to the Knight Open Government Survey released July 2 by the National Security Archive at George Washington University. "In January, the archive filed FOIA requests with 87 federal agencies for copies of their 10 oldest open or pending requests," writes Stephanie Kanowitz, Web editor for Federal Computer Week magazine. "Five agencies — the State Department, Air Force, CIA and the Justice Department’s Criminal Division and FBI — reported FOIA requests that have been pending for at least 15 years, according to the report. Other findings include: Ten agencies misreported their oldest pending FOIA requests to Congress in their fiscal 2006 Annual FOIA Reports, which are required by law; 10 agencies misrepresented their FOIA backlogs to Congress; several agencies contradicted their own responses to the archive’s two previous “10 oldest” audits by reporting requests this year that were significantly older than those they produced in 2003 or 2005. So, why should rural journalists care about FOIA? Because it opens to door to information in federal agencies that can have a lot to do with things in your area -- crime, education, the environment and federal spending, to name a few. If you think the act needs improving, write about it -- and ask your senator about it the next time he or she comes to visit. For an example, from the Kentucky New Era, see the third item below. The North Carolina Court of Appeals has reversed part of a trial-court ruling that allowed local ofificals to keep two weekly newspapers from getting a document because it had been placed into a personnel file. "Whether a document is part of a 'personnel file' ... depends upon the nature of the document and not upon where the document has been filed," the panel wrote in a unanimous decision. The case was brought by The News-Reporter of Whiteville, a twice-weekly paper, and the weekly Tabor-Loris Tribune against Columbus County officials who withheld a letter sought by the papers. In September 2005, when the county Board of Commissioners was considering whether to renew a contract with its medical director, the emergency-services director sent the board a letter discussing his work with the medical director and recommending that a new one be hired. The county made no change, and denied the newspapers' request for a copy of the letter, arguing it was exempt from the open-records law because it was in a personnel file and dealt with the performance of a county employee, The Associated Press reports. The appeals court wrote, "While portions of the letter are protected from disclosure, those portions can be redacted, and the remainder — falling within the Public Records Act — provided to plaintiffs." The court said making anything in a personnel file exempt from disclosure "could result in governments transforming a newspaper clipping that addressed a government employee's performance into a confidential record," AP reports. For the full story, via the First Amendment Center, click here. "That leaves Romney as the sole representative of the GOP top tier to commit to the traditional Ames Straw Poll and offer himself to voters for up close and personal inspections. The former Massachusetts governor has 20 full-time staffers, coordinators in most of the state's 99 counties, and a group of about 50 "super volunteers" that has already swept through the universe of likely caucus-goers with initial phone calls and have begun going door to door in key precincts. His effort got a big boost last week when McCain, down to just $2 million cash on hand, halved his Iowa staff to seven to save money." Martin blames McCain's support of the failed immigration bill, and notes that Guiliani has made changes in his Iowa staff, but you have to wait until the second page of the story to see the reason we think Romney is ahead in Iowa: He's the only candidate who's run TV and radio ads. And they were good ads. (Read more) They were compelling. However, they stretched the truth, says the Annenberg Political Fact Check at the University of Pennsylvania, which said today that he "exaggerates his record and traffics in ambiguous language." We'd spell it "trafficks," but we put much stock in FactCheck, because it's run by Brooks Jackson, a former investigative and political reporter for The Wall Street Journal and CNN. 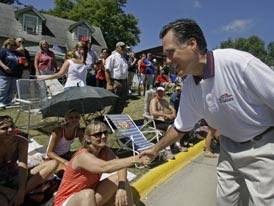 To read his latest on Romney, go to http://www.factcheck.org/. The Kentucky New Era, an 11,000-circulation daily in Hopkinsville, Ky., continues to take a leadership role in trying to get the U.S. Senate to consider a bill that would improve the federal Freedom of Information Act. The paper published an editorial June 27 asking Senate Republican Leader Mitch McConnell of Kentucky to get Sen. Jon Kyl, R-Ariz., to release his “hold” on the bill, which the Justice Department opposes. Last week, when McConnell was in town, New Era reporter Joe Parrino buttonholed him on the subject. “All Sen. Kyl is saying is that we need to bring it up, debate it and he may need an amendment,” McConnell told Parrino. “It doesn’t necessarily mean it’s not going to pass.” Parrino noted, “Kyl placed the hold secretly and owned up to it only when the Society of Professional Journalists queried every single U.S. senator about the matter.” (Read more) For details of the bill, click here. The Rural Blog has taken note of Virginia's Jim Webb since he started running for the U. S. Senate in 2006, mainly because a major part of his strategy was to bring rural voters back to the Democratic Party -- and he succeeded. He also started making waves very quickly, having a personal dust-up with President Bush at the White House. Now he and Bush are back on speaking terms, and he has "lowered his profile," but his criticism of Bush's Mideast policies, which helped elect Webb, "is unabated," reports The Virginian-Pilot. Dale Eisman reports from Washington that Webb "and several other first-term Democrats, particularly Sens. Jon Tester of Montana and Claire McCaskill of Missouri, have formed an informal ' redneck caucus.' It's an allusion to their residence in 'red,' or Republican-leaning, states and their interest in lunch-pail issues, including raising the minimum wage and the outsourcing of U.S. jobs to overseas workers." McCaskill told Eisman, "We were the three that probably were least expected to win" and also "come from the reddest states."